Alma Legal is a registered business name and trademark of Marina Warwick practising as an Isle of Man advocate, English solicitor and Russian lawyer – specialist in international trade law and private international law. Before immigrating to the Isle of Man and becoming the first Russian lawyer with her qualifications and experience to be admitted as a Manx advocate, Marina practiced law in Moscow for seven years, mostly with international law firms, including Gide Loyrette Nouel and Freshfields. She also worked closely with a leading international arbitrator at Mannheimer Swartling on cases heard in the London Court of International Arbitration and the Arbitration Institute of the Stockholm Chamber of Commerce, where she acted, in particular, for space industry clients. 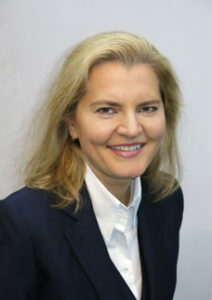 Prior to setting up her own practice on the island, first as a founding member and director of Alma Legal Limited and then independently, Marina trained with Simcocks Advocates and worked with a leading international law firm, Appleby, in the Isle of Man since 2007. – the Isle of Man incorporated legal practice with the registered business name ‘Alma Legal’ assigned all its intellectual property to her before the company’s solvent dissolution out of court in 2015. Its lawyers now practice independently. – An unrelated UK company, which attempted to use the same name in the UK, was committing a trademark infringement and was dissolved via compulsory strike-off on 27 December 2016. Advocate Marina Warwick is using the Alma Legal trademark and protecting it from further infringement in the same territory.